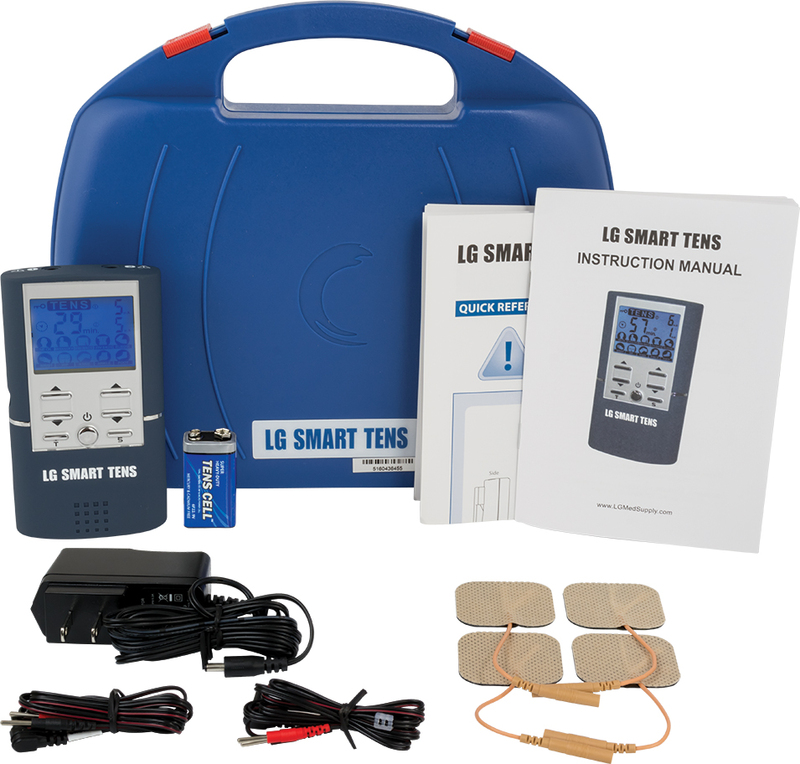 If you are looking to relieve pain quickly and do not have a lot of experience with TENS Units, then the LG-SMART TENS Unit is a great model for you. 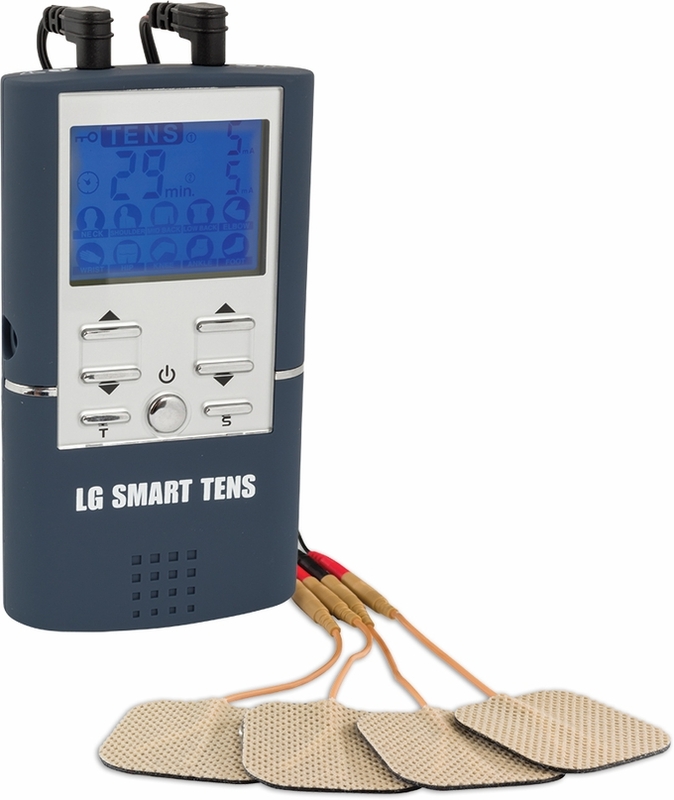 The LG-SMART TENS Unit is an FDA approved, easy to use TENS Unit. Simply choose from 10 Preset Body Area Settings on the LCD screen. This ensures that you are using the best program on the treatment area. The LG-SMART comes with BOTH batteries and AC adapter so you can use at home or away. The LG-SMART provides high clinical intensity treatment(100mA) - the exact type of treatment you would receive at the office. The LG-SMART TENS is simple to use. 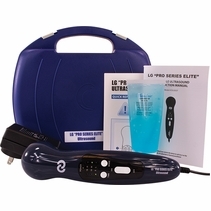 Place the electrodes on the treatment area, turn on the unit, select the body area icon you are treating from the digital display, and experience professional pain relief at home or on the road. The 10 preset body program selection will assure you have the unit on the proper program to achieve maximum benefits. Wear the unit as long as you like. There is no time limit. The LG-SMART comes with everything needed for immediate use including battery, AC adapter, electrode pads, lead wires, quick start guide, and instruction manual. The LG-SMART comes with a 5 year warranty and free USA support if ever needed. Tolerance: There may be a �5% tolerance of all setting and �10% tolerance of output of intensity. Electrode Detection Function: The amplitude level will be reset to 0mA when the amplitude level is 12mA or greater and an open circuit at either channel is detected. 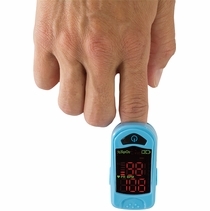 People use TENS to relieve pain for many different types of illnesses and conditions. They are use often to both treat acute and long lasting chronic pain including muscle, joint, and bone problems that occur with illnesses such as arthritis, osteoarthritis, and fibromyalgia. 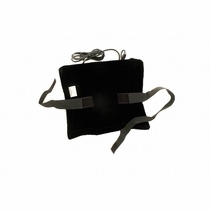 It is also effective for conditions and injuries such as low back pain, neck pain, tendinitis, or bursitis. 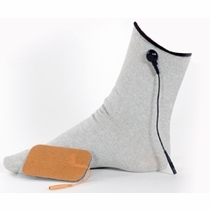 Transcutaneous Electrical Nerve Stimulators (TENS) is a treatment that has been used for many years. 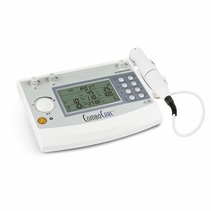 A TENS unit sends comfortable impulses through the skin that stimulate the nerve (or nerves) in the treatment area. 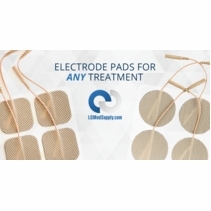 In many cases, this comfortable stimulation treatment will greatly reduce or eliminate the pain. hurrah 5 This Smart Tens is working wonders for me. So glad I ordered it. 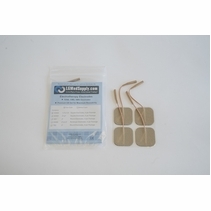 Use it every night for lower muscle hip pain and it has made a big improvement. Nice to be able to plug it into a wall outlet as well. Saves the battery. Great Machine 5 This machine has helped me a LOT. I wore out a smaller machine, and this one is much better. I got a good deal, and am happy with it. Pros:You can use an electric outlet, OR use the battery feature and move around. Defective but immediately replaced 3 One of the two TENS electrodes was dead and the controller behaved sporadically. I contacted customer service and was surprised at how quickly I got a response. I was planning on asking fora refund but Lucy McFarland was so helpful and responsive that I elected to get a replacement- which she shipped immediately. She made me feel like LG must be a good company to trust. I cant rate the product higher until I try the new one. So, product 0 now, but Customer Service is a 5. Cons:Non functioning product- I hope the replacement works. 5 Had an EMPI Select unit that quit working. Found out they went out of business so I called around. Spoke to a sales rep from LG and they were very helpful. They told me this Smart unit was the most similar to my old EMPI Select unit so I bought one. Works great and I like that I can plug it into the wall socket too. So easy to use which was the reason I liked my old unit as well. 5 I'm 51 years old and have used this for over 3 years now. I have 2 herniated discs and this is a life saver. I use it to DECREASE the amount of medicine I take. In fact I find it more effective than Vicodin. I am a Nurse Practitioner and work in pain management. I recommend it to my patients all the time. I wear it and put it in my lab coat pocket. It is discreet because I don't like the stinky menthol ribs and my skin is too sensitive for capsaicin products. 5 This unit is great. I ordered it for my parents. My mother has a very bad shoulder. I use it on her shoulder twice a day. She is free of pain. I'm sure with time we will use is less but it has helped her out. Thank you. 5 Great device. I take it on my trips. 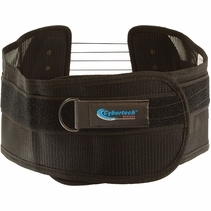 Helps everything from sore legs in Europe to a shoulder strain while skiing. No drug interactions to worry about and you can wear it around the lodge at days end. A boon to us retired folk. My wife now uses it for ice skating injuries. i may have to buy another one! 5 I have been using a TENS unit for several years now and all purchased from LG MED SUPPLY because their service is outstanding. I just ordered this LG SMART unit and I am sure it will work as well as the other units I have purchased in the past. There is no secret to this device. it just works. The pain is either reduced greatly or gone al together. It does what no drugs can do since it targets just the exact area of pain. I have arthritis in my neck, lower back pain and occasional arm pain from an old biceps tendon rupture that was surgically repaired. Again, used properly, it is a safe and extremely effetive pain relieving device. 5 I have a host of medical issues. Rheumatoid arthritis with Raynauds and Sjogrens as side conditions along with muscle and nerve spasms. I got this machine a little over a year ago from Amazon.com it's the exact same unit that is advertised here. This has made such an unbelievable difference in my back. The deductible for my insurance would have been very high so I started looking for alternative TENS units to the one my doctor's office recommended. I found this one and I love that it's idiot proof. I don't have to learn about frequencies, or modalities, or a bunch of complicated PT terms. I stick it on my upper back if that's where it hurts, I push upper back. and start. I can't even begin to say what a difference this product has made in terms of helping to control my back pain. 5 We bought this unit to use for a sholder inlury and for tendon problems. we should have done this months ago. The unit is absolutely fantastic. The 10 settings are VERY handy. 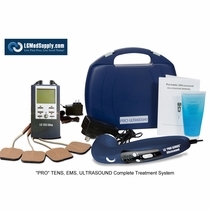 We would recomend this to absolutely anyone needing a tens machine. thank you, thank you thank you! 3 I bought this unit in July to help with my father's leg muscle pain. The output current is strong enough to help manage his pain and he was happy with it. However, after less than two months of use, the unit is not working properly anymore. He used it on a daily basis and most probably used the maximum amplitude current. Will find out if it can be replaced. 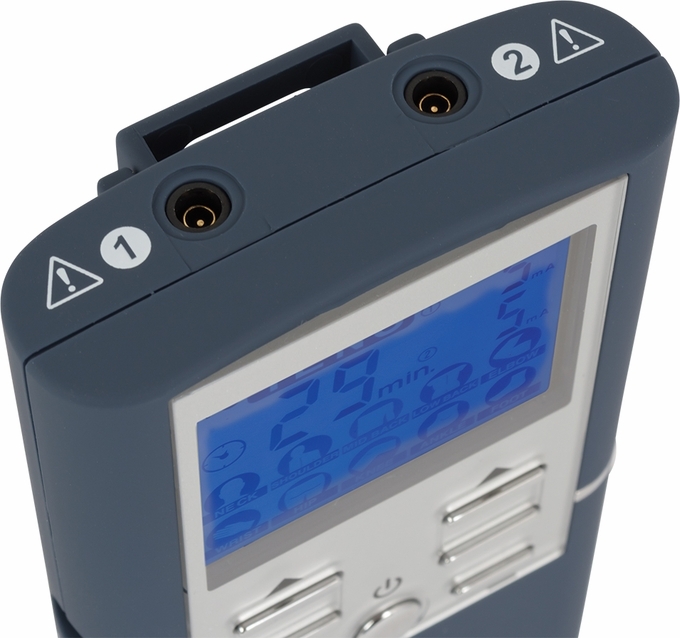 5 This is an excellent and easy to use portable TENS unit. The 10 body area/part settings make it so easy to use that even the Geico caveman could do it! It has helped my mother with her Rheumatoid Arthritis, a friend with pain from an old Viet Nam era wound in his shoulder, my friends wife with an injured arm she sustained after falling as well as others I know who have tried it for troubled areas. Some of these people include folks I work with at a company that handles work related injury claims. A number of them are planning on purchasing the LG Smart Tens in the near future for themselves or someone they know. They will no doubt suggest it to some of our claimants. It's just that superb a product!!! 5 I have wasted lots of money going to therapy for my lower back I got no insurance I pay out of pocket each visit was about 120$ I saw a lady in my job whit this item and I ask her about it she sead it work great she lend it to me for a few days and it did the same job as going to the therapy doc and it work great for me so I got one for me and my sister and know I don't have to go pay a therapist and I save lots of money and this unit is affordable it's works great for us I recommend it 100% . 5 I just received my Smart "Tens" unit in the mail.....I'm already using it and it's relieving my muscle spasms in my back, and the trochontric bursitis in my hip! I can walk again pain free....right now, TODAY!!! Can't thank you enough for such a fantastic smart machine!!! I will definitely tell all of my friends about this magic miracle!!! Thanks so much!!!! Sue A. 5 This was my first time using a tens unit on my own. After trying it I had no pain in the knees for the first time in months!!!!!! 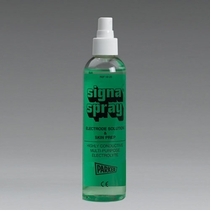 Its very east to use, small in size and gives the user many choices in the type and duration of the treatments. 5 I have chronic back back for years now and while recently visiting a relative, let me try their TENS unit. 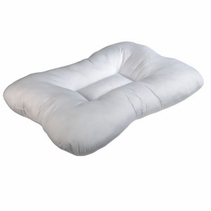 I used it for 30mins that evening and the next morning that particular pain areathat I had been experiencing was gone. Six weeks later I still have back pain but not the area in which I treated that evening. As soon as possible I purchased my own. This TENS unit is meeting my expectations. 5 Awesome equipment, very easy to use and program. It works perfectly and gets to the problem areas in my body. I'm an athlete and this is a blessing to have after a tiresome workout. 5 My TENS unit makes it possible for me to continue to work. My old one helped, but the wires were too short and the timer could only be set for 20 minutes. With this unit I can put it on continuous and the wires are long enough that I can put the unit in my pocket without pulling them out of the pads. It is just overall a quality product for a very fair price. thank you for allowing me to remain a productive senior citizen.